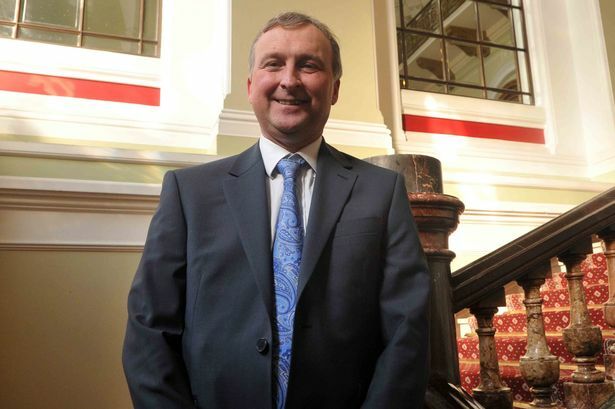 Council leadership contender Ian Ward has vowed to build "a constructive relationship" with the Government-appointed improvement panel to get the city council out of trouble. Council deputy leader Ian Ward has suggested in his leadership bid that, under Sir Albert Bore&apos;s leadership, the relationship with the panel has not been good. Criticism from the Birmingham Independent Improvement Panel was one of the reasons that Sir Albert was forced to resign last week launching the contest to succeed him. The panel was installed by the Government to oversee council performance and improvement in the wake of the damning Kerslake report, Trojan Horse scandal and ongoing failures in children&apos;s services. Coun Ward (Shard End) said: "The new leadership must build a constructive and proactive relationship with the Improvement Panel to openly explore why the required progress has failed to be delivered. "We must then demonstrate that the changes needed, on the scale required, are understood and will be delivered. "Misunderstanding this challenge, or worse, behaving recklessly, will be disastrous for the council, Birmingham and its citizens." He promises to form a genuine city partnership with other agencies, organisations, community groups and businesses - something else the council has been criticised over. The council&apos;s ruling Labour group, which will elect the new leader on November 23, views the prospect of a government takeover as a disaster - not least because many of them could be replaced as cabinet members by government commissioners. Coun Ward faces competition from councillors John Clancy and Barry Henley for the role and there is still time for more members of the 78 strong Labour group to put themselves forward. Coun Ward said: "I am the right person, and the only candidate with the capacity, experience and skills, to lead the council at this critical time. "Birmingham is a great city that can only be governed well with a collegiate style of leadership, drawing on the talents of the city, and by the council reaching out to partners and stakeholders to form a collective solution to the challenges the city faces." In an internal message to councillors, he also pledged to involve backbenchers in forming policy and decision making as Sir Albert had been criticised for being too dictatorial.